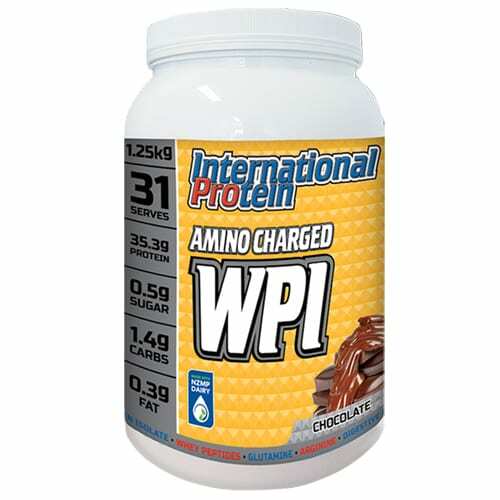 International Protein AMINO CHARGED WPI contains the highest protein (94% by dry weight basis), lowest fat and less than 1% carbohydrates and sugars (lactose). 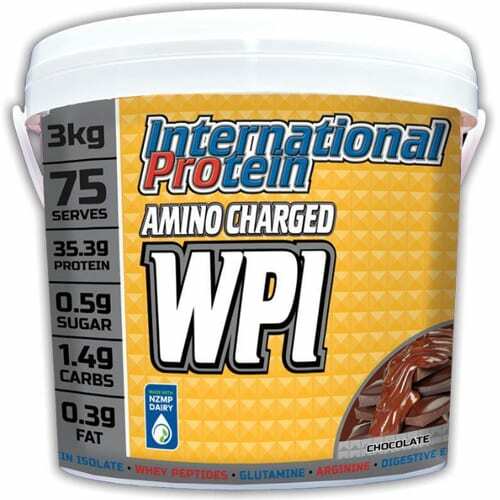 International Protein’s AMINO CHARGED Whey Protein Isolate (WPI) contains the highest protein (94% by dry weight basis), lowest fat and less than 1% carbohydrates and sugars (lactose). 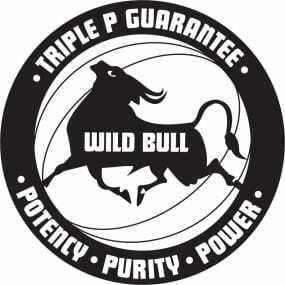 WPI is naturally high in bioactive peptides for muscle tissue synthesis and immunoglobulin proteins for immune system support. 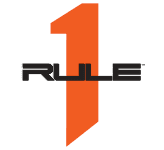 This nutrient packed protein is a rich source of all the essential amino acids, and contains the highest concentration (24-25%) of Branch Chain Amino Acids (BCAA’s), especially leucine, of any protein source. BCAA’s help facilitate muscle recovery after hard training or sport. The Supplement Stop recommends mixing 1 1/3 scoops (40g) with 200ml – 350ml of cold water or milk and shake well. 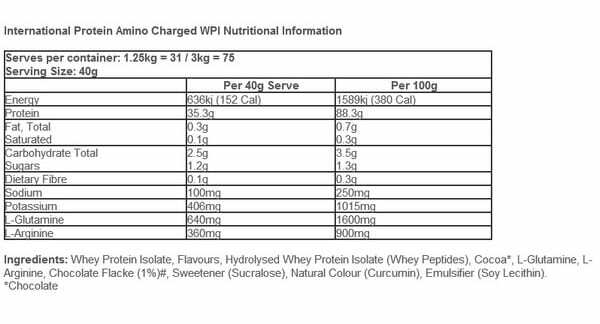 AMINO CHARGED WPI should be consumed 2-3 times per day, depending on how much you are training and what results you are trying to achieve. 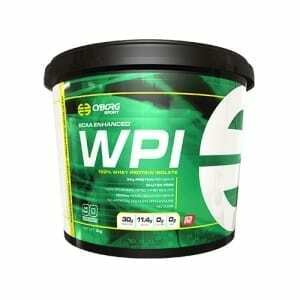 For best results, we recommend consuming AMINO CHARGED WPI first thing in the morning on an empty stomach.